Better Baked Goods What we are about! GLUTEN Free by B.B.G. B.B.G SET ME FREE!! Best Ever Gluten Free Baked Goods! Your Friendly Gluten Free baker who has the goods you want ! THE HERNANDO COUNTY FARMERS MARKET-Open ALL YEAR every Saturday,Rain Or Shine! Address: 2450 Commercial Way (US highway 19) in the new "Rural King" parking lot next to Long John Silvers and Big Lots. Our canopy can be located at the north most entrance directly a crossed from the garden center. Two of our fans :) Daniel and Adam. Children of all ages love our treats and they are great for them to eat!As they are full of ingredients that promote a perfect storm of nutrient dense items to help them grow up strong inside and out. My mission here at Better Baked Goods is to create a line of baked goods that are healthier for us by using Gluten & Grain free, protein packed fiber full flours, and to keep them sweet without empty calories I use wholesome Organic Coconut sugar that is high in Nutrient content and low on the GI index scale, as well as Organic Agave Nectar which is also low on the GI index scale. Please DO NOT believe the incorrect press about using Organic Agave Nectar . Organic means that there are NO CHEMICALS USED on the plant or in the PROCESS of making the AGAVE! And, when it is used in moderation from 5% to 10% of your daily caloric in take it is a fine substitute for white cane sugar. We also bake our Paleo( Almond flour chocolate chip cookies) with local honey and we do a Maple Syrup sweetened version as well for Vegan friends to enjoy! And, let's not forget about our Soft and super energy producing Almond Flour Carrot cake cookies which are also a Grain free offering. And, I am very pleased to add to out line of muffins a SUPER delicious Stevia sweetened Coconut flour muffin that is only 15 carbs each or less depending on the variety. 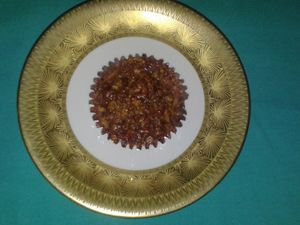 We offer these recipe in a Banana Nut, a Apple Pie & Oatmeal and a Coconut & Chocolate Chip version as well as what ever fresh fruit puree we happen to be working with that week.These muffins do contain unsweetened apple sauce& Banana puree, FYI. 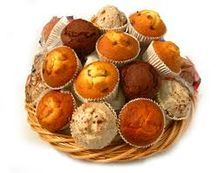 Our baked goods are weight watcher and Diabetic friendly! In moderation of course. Our bake goods are created with healthy gluten free flours which are all NON-GMO which help to add to a higher protein and Fiber content in are items. We use many flours to create our delicious and nutritious treats here are just a few for you to view! Organic Coconut Flour( not in every product) Organic Brown rice Flour, Millet flour, Sorghum Flour, Sweet Rice Flour,White Rice flour, Almond Flour and a few more. We also bump up the fiber content by adding Organic Flax Seed meal along with Bob's Red Mill Gluten Free Oatmeal ( Note Not in All items). We also offer muffins that are only sweetened with Organic Coconut sugar , Honey and Coconut sugar sweetened cookies & Pies .Yummy Pumpkin treats of all Kinds( Starting in October). I am please to announce that are Vegan line is growing and is sure to please your taste buds. We are offering Egg and Dairy free versions of the following cookies- Cranberry Pecan, Nut Free Chocolate Chip, Chocolate chip with walnuts, Raspberry Crumb Oatmeal,Peanut butter,Oatmeal Raisin & Oatmeal Cranberry.Please, call 727-869-5170 to check on what is on the menu for the week that you might be coming by! I also have a yummy Silken Tofu Lemon bar that has a Almond flour crust that is suburb.Please, call to order this item. As we do not bring it to market every week. You can find us in person at the Spring Hill Farmers Market every Saturday which is located at- Address: 2450 US highway 19 in the NEW RURAL KING PARKING LOT, next to Long John Silver’s and Big Lots. We will be open for business by 9:00 am and we close at 3:00 pm. Please call a head for special order such as specialty Pies & Breads. We use Organic Coconut Sugar , Organic Agave Nectar.As well as honey to sweeten. Doctor OZ loves Coconut sugar and Agave nectar,And, please do not hesitate to ask us about these wonderful sugar substitutes! Agave nectar and Coconut Sugar and Honey allow us to sweeten the majority of our baked goods without adding traditional sugars that are stripped of their nutritional values and that raise the GI index of the foods, which in turn help us store body fat. We strive to make sure that the fiber content of our goods are enhanced as well, this will slow down the digestive process and will ensure that you will get a longer and slower release of insulin in your blood stream. We use Organic Coconut oil,Butter fat and non-hydrogenated organic Palm oil only. We do not use margarine or any other Hydrogenated oils.Our products do not contain additional preservatives! So, please refrigerate them as soon as you get them home to ensure a longer shelf life.They all freeze very well for weeks. I do take orders for party's and special events. A 50% deposit is required on all orders.We all so can create Egg Free, Dairy Free and almost other request you may have. We currently are offering the following- Pecan pie , Pumpkin pie ( Pies need to be ordered 3 days prior to pick up date), Banana nut muffins, Pumpkin Muffins, Blueberry Muffins,Pecan pie pear muffins (one of our best sellers) Crumb apple pie( these fly of the table as well), Brownies with or without walnuts or chocolate chips and our soon to be famous Chocolate Chip cookies, Yum! OH and let's not forget our NEW customer favorite's - The worlds best Peanut Butter sandwich cookies!! We also have a Great peanut Butter cookies as well. Oh, and our MINI's are the BOMB- Our mini pecan cranberry and Pumpkin Pies and Pumpkin Pear crumb Pies Rule, yes I said Rule and after a taste they can make you drule...You may order any of our products without nuts. I also offer an egg free chocolate chip cookie as well.If, you would like an Egg Free or Diary Free Cookie or Muffin please lets me know a head of time by 24 hrs so I can create them for you!! Now let's talk about our breads. We have soft, fully body delicious UN-gritty bread that does not fall apart when you use it on sandwiches. We create-THE BEST EVER!, White,Flax Seed infused,Cinnamon Raisin,Cranberry Pecan, Buckwheat, Buckwheat Raisin and our latest addition a High Protein loaf that is constructed with Buckwheat flour,Oatmeal and Hemp protein powder, Our new arrival is our High Protein White bread.It contains Hemp hearts,Chia seeds and G.F. Oatmeal. We use Organic Coconut Oil and Milk as well as Cage Free Brown Egg Whites ( Traces of yolk is possible) in all variety's of our breads. 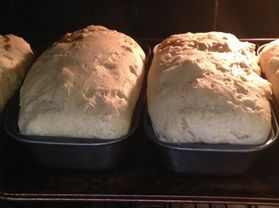 These breads are a Organic Brown Rice,Sorghum and Millet four based breads. a long with a few other ingredients! Our Chocolate Chip cookies are only 3 points each on the weight watchers program! Yeah!! Our Vegan line is here! Pecan Cranberry, Nut Free Chocolate Chip, Chocolate chip with walnuts and Raspberry Crumb Oatmeal. Our Vegan Garbanzo bean flour brownies are Super Delicious ( No Kidding here) they come in Double Chocolate chip, Organic Raspberry Jam infused,Walnut & Pecan. I also have a yummy Silken Tofu Lemon bar that has a Almond flour crust that is suburb. Almond flour High Protein Carrot cake muffins-$4.00 each. These have no starchy flour in them and are infused with Hemp protein powder to raise there protein content per muffin to 8.35 g.We also bake these with no Hemp Protein Powder and add an extra egg to bump up the protein for those who might not be able to partake in a hemp product. Cookies start at $1.00 each or a box of 5 for $6.50. Brownie Prices vary due to types but they start at $3.00 each for our plain chocolate,our chocolate chip and walnut and our pecan variety's are $3.00 each! They are baked in a deep foil cupcake liner. Pumpkin pies are $14. for a Pecan pie, $16. for our cheese cake pecan $16.00 for our pear pecan Pie as well, more to come. our eight inch Pies, they too are $5.00 a quarter. One quarter is two nice restaurant size slices. Please, leave us a message if we are unable to pick up and we will get back to you A.S.A.P. How sweet it is!Funny bone brownies.We fill them with a home made peanut butter filling that is sure to please.Sweetened with Organic coconut sugar and Organic Agave nectar, plus apple sauce,Organic coconut oil and flour. Infused with flax seed meal, these are the real deal. Here are our super Delicious Chocolate Chip cookies! These cookies are Gluten Free and sweetened with Organic Coconut Sugar and Honey! If, your heart is set on a delicious cookie look no further! You will feel the love from our family of healthy cookies. Above and sending you lots of love is our chocolate chip cookies. Here we have our Pear Pecan Pie muffin, need I really say more! OK, I will just because it deserves the press! This muffin has a Pear Pecan filling with a Spoonful of my Pecan pie filling over the top. OMG! Heat & Eat.Heaven on earth for those who love a pecan pie and just do not want to eat all those sugar calories! (Even thou My Pies can be eaten with out all the guilt).